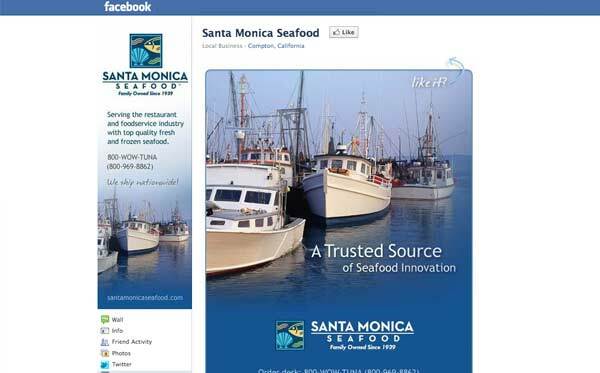 The Challenge: After selecting Evolution Design to help design and launch their new corporate website, a blog and a Twitter presence, leading seafood distributor Santa Monica Seafood was ready to accelerate their social media with the addition of a Facebook page for their foodservice division. 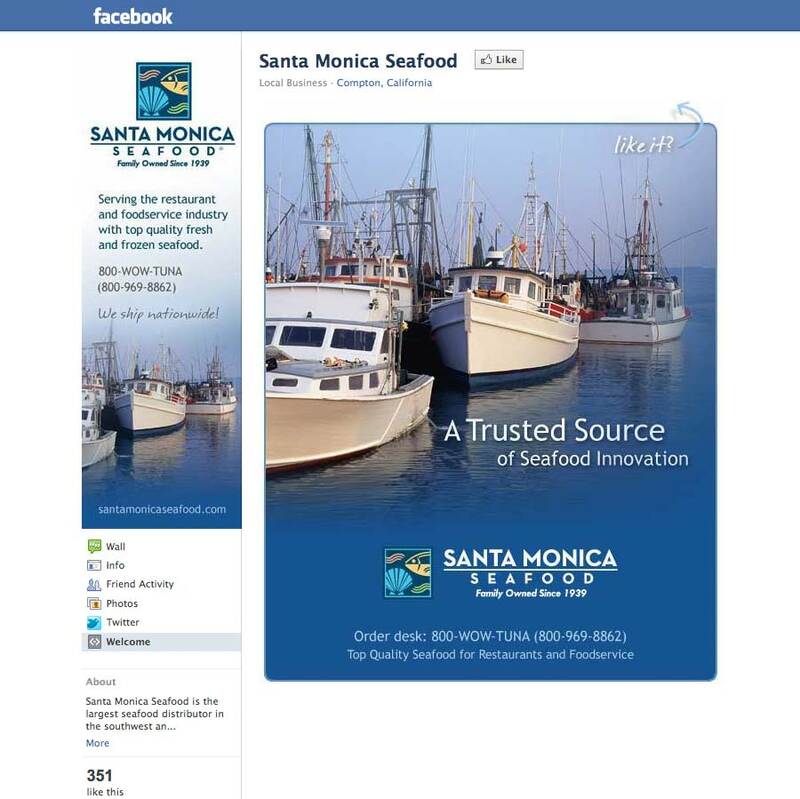 The Solution: We designed and created the page, designed a custom landing page graphic and added the tab using FBML. We suggested a variety of website content for the client to post, as well as assisting with strategy for post timing, style and frequency.